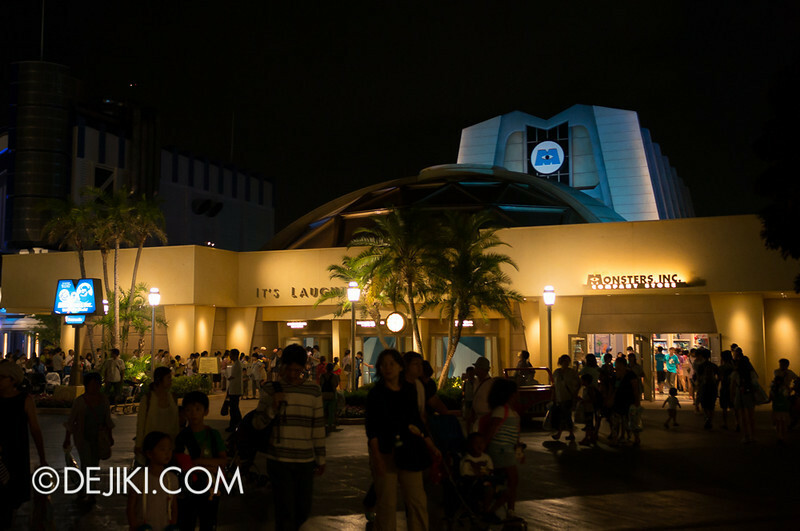 All about Tokyo Disney Resort and its two theme parks: Tokyo Disneyland and Tokyo DisneySea. 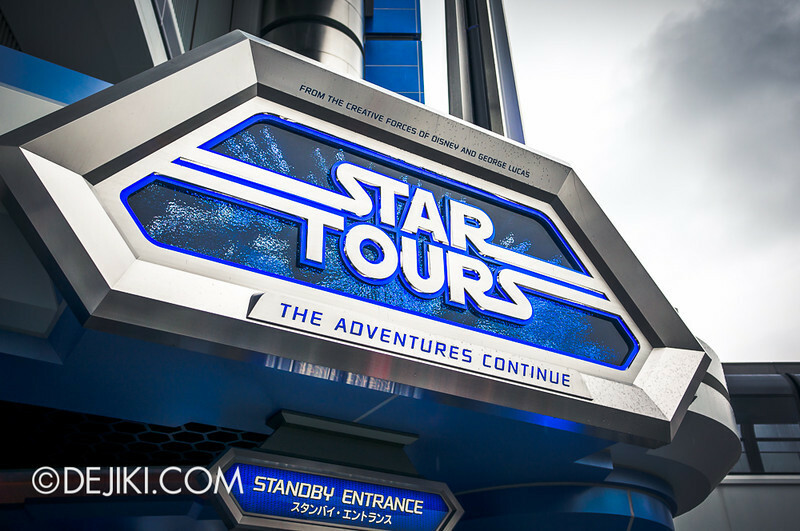 Enjoy extensive trip reports and photo tours of world-class attractions and themed areas in the parks. 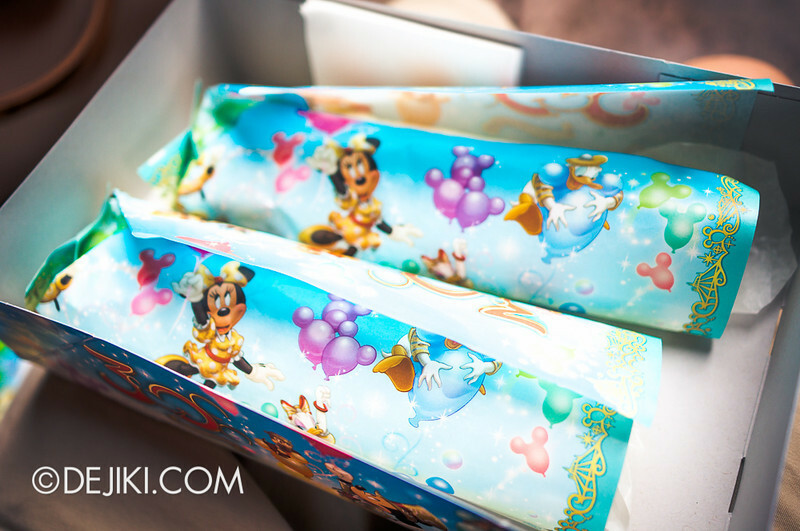 Happiness is Here is not just Tokyo Disney Resort’s special 30th Anniversary celebrations. 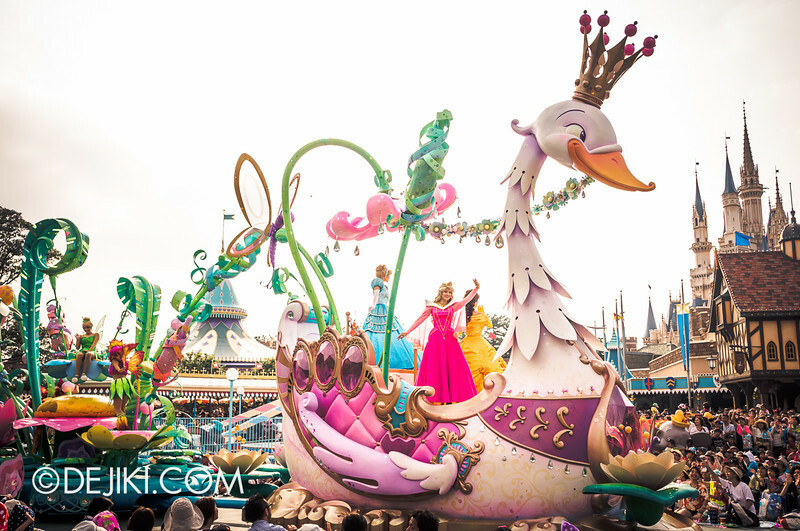 A new day-time parade was created to mark this special occasion, and it is performed during normal seasons at Tokyo Disneyland. 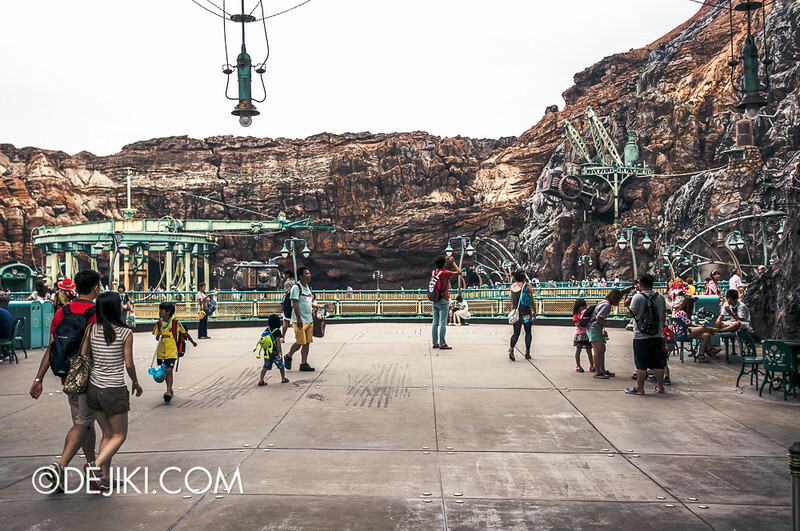 We are back at Tokyo DisneySea’s Mysterious Island. At night, the volcano is partially shrouded in darkness, but its energetic caldera glows with secrets. Its true face, as Captain Nemo’s secret base, unravels every night. 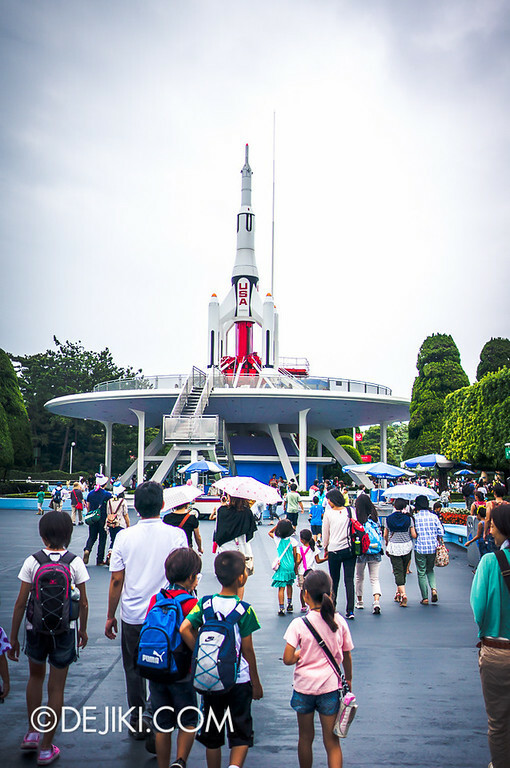 Tokyo Disneyland’s Tomorrowland is a minimalist fantasy of the future. As strange as this might sound, the area doesn’t feel very futuristic in today’s world – it features very clean lines and muted colours (with some graduated blue accents) across its architecture. 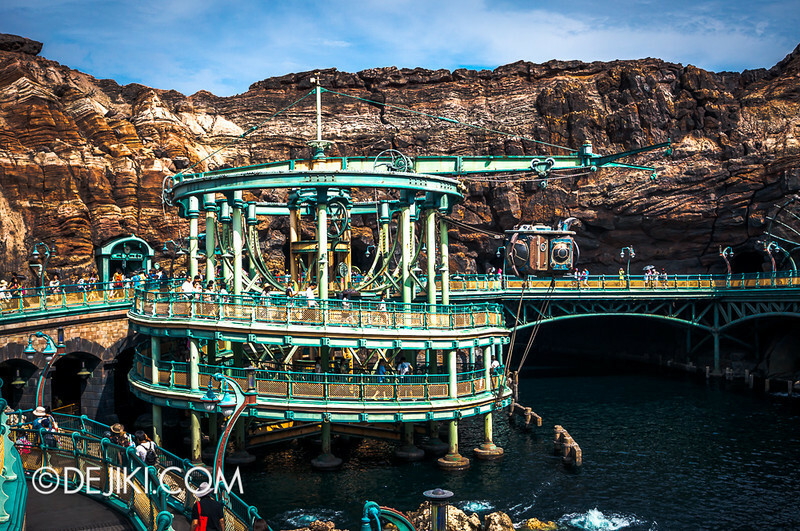 Possibly the most illustrious theme park attraction at Tokyo DisneySea, Journey to the Center of the Earth is a one-of-a-kind adventure set in the world of Captain Nemo. 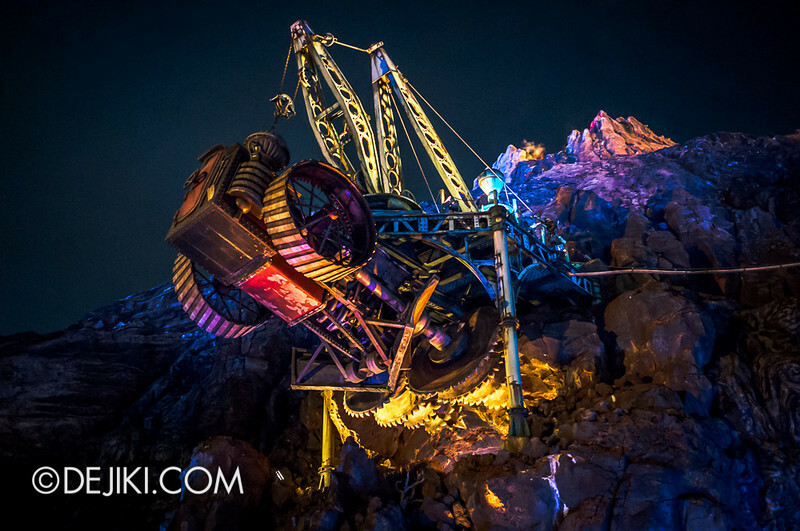 Mysterious Island – a world hidden within Mount Prometheus that is heavily inspired by some of Jules Verne‘s most iconic novels. 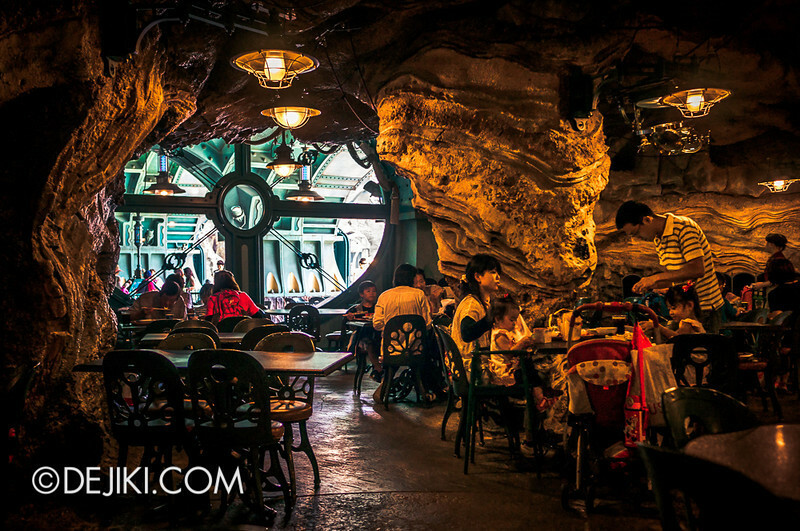 This themed zone is the centerpiece of Tokyo DisneySea. 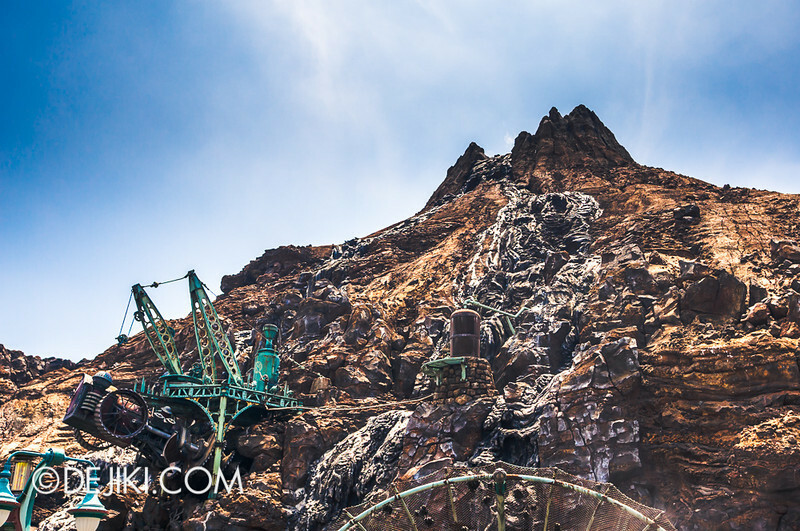 Mount Prometheus is the icon of Tokyo DisneySea, and can be seen (outdoors) from every other themed port-of-call around the park. The volcano connects to a massive, water-filled caldera, known as Vulcania Lagoon. The waters, perpetually influenced by the active volcano, are always tumultuous. 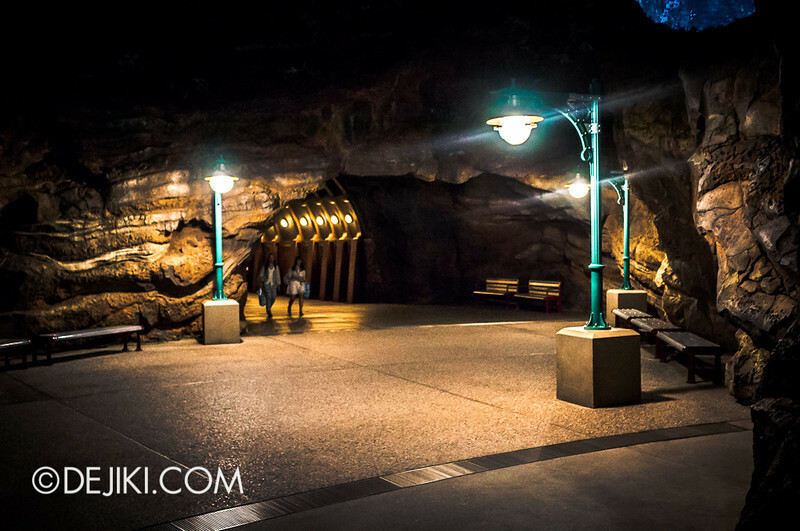 Fantastic rock theming aside, this themed area is designed in such a way where its facilities (attractions, shops and other amenities) are stacked within the caldera. Being right in the middle of the park, with a lagoon and river running through the lower levels, means that the design needs to get creative. Those who have seen the park’s blueprints will know what I’m talking about. 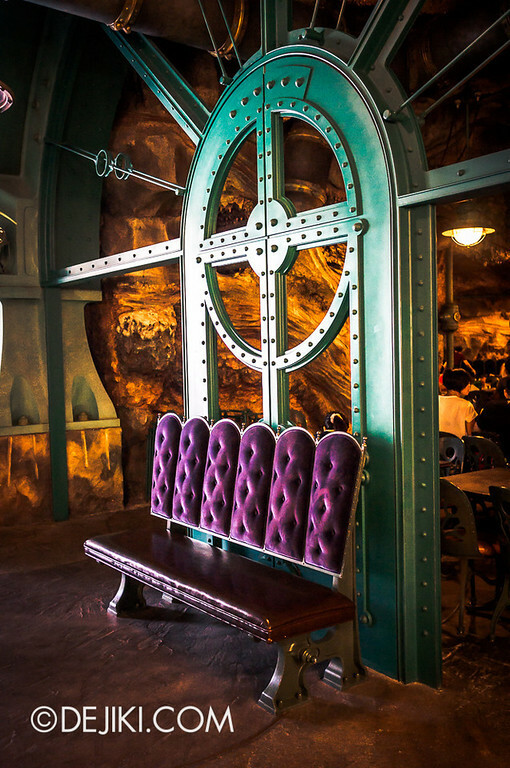 Once inside, visitors would feel completely enclosed in Jules Verne’s stories by the mountainous terrain. 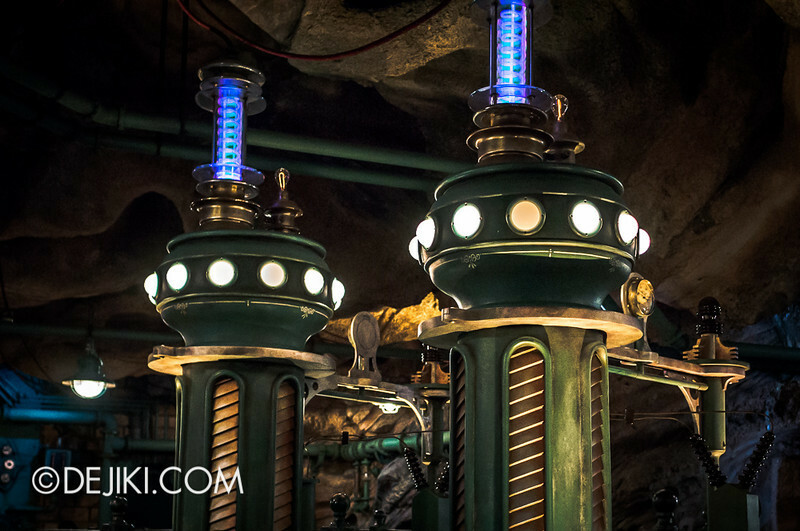 Mysterious Island is home to two dark rides, two restaurants, and a quaint souvenir shop. 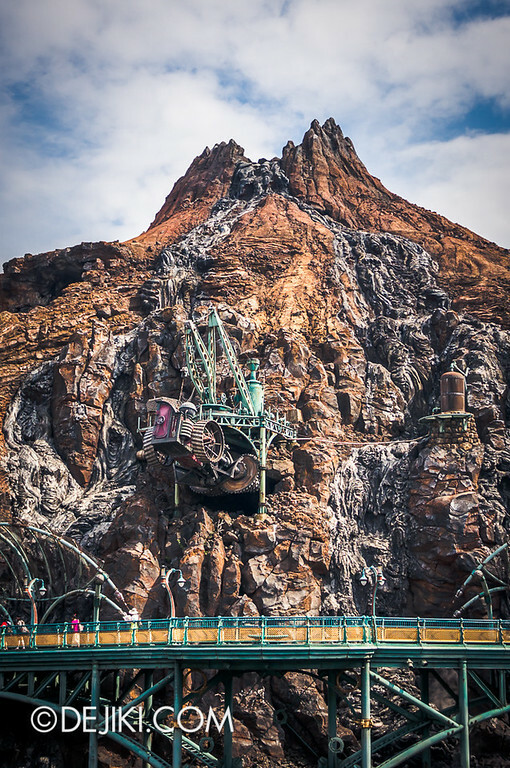 The DisneySea Transit Steamer sails through the lagoon. Structures in teal give a visual break from the zone’s dominant rockwork. 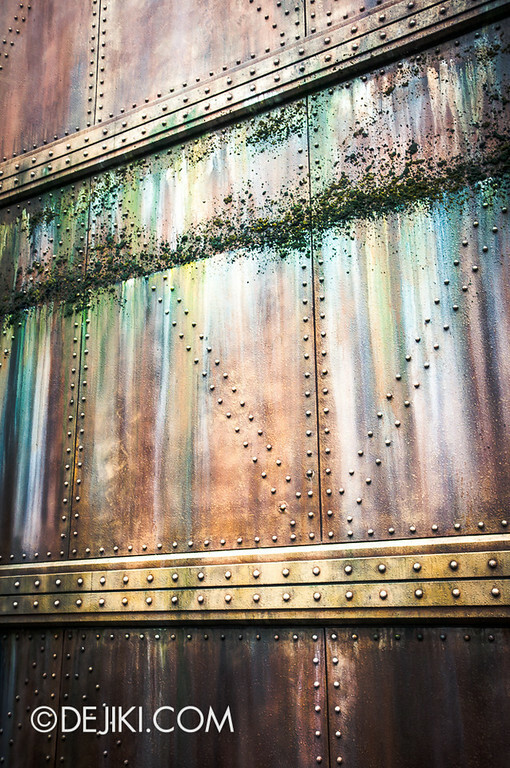 A massive floodgate at one of the area’s walkway leading to the back of the park. Rather astonishing detail here: aged but not “aged”. Hanging lamps along a rocky wall. 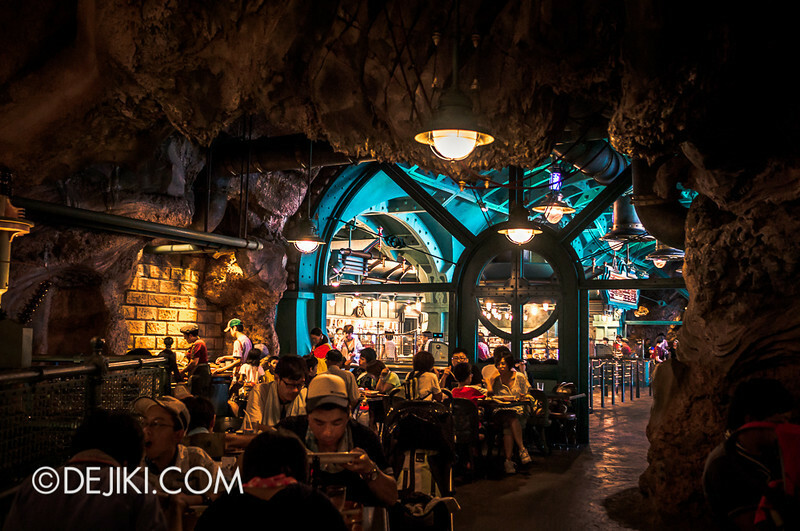 Gentle transition in theming, as seen from Mermaid Lagoon‘s outdoor area. Let’s go back. 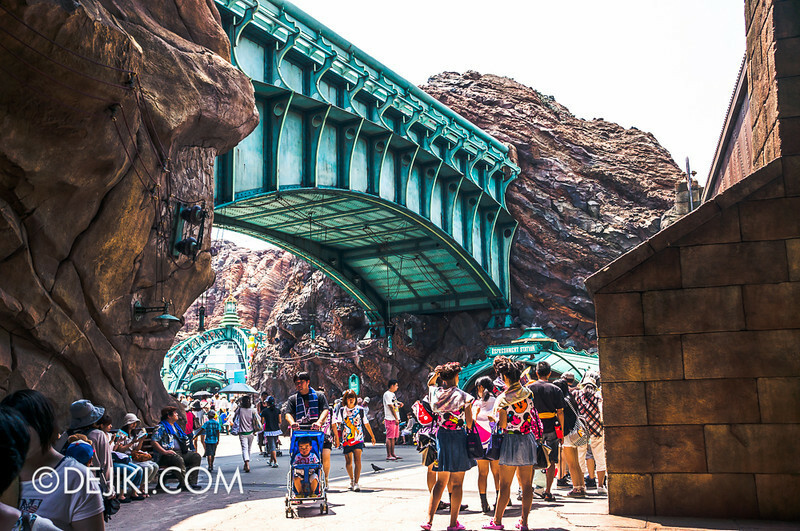 One “attraction” of Tokyo DisneySea can be found below this bridge. 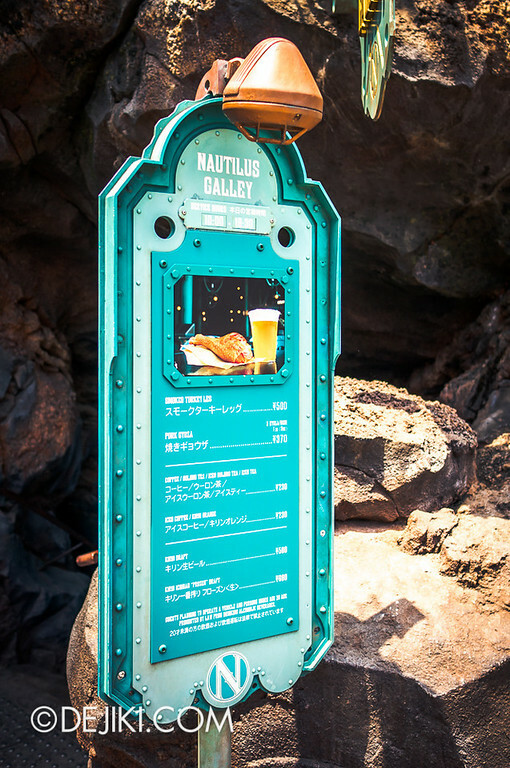 It’s not a ride or show, but a food stand selling snacks. Welcome one and all to the world-famous Refreshment Station. 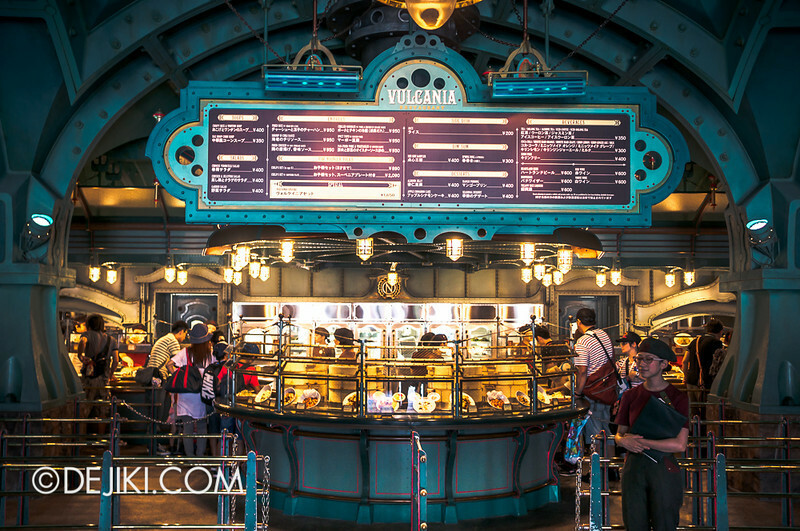 Home to the popular Gyoza Sausage Bun (or Gyoza Dog, in Japanese), which is more popularly known as Nautilus Gyoza. 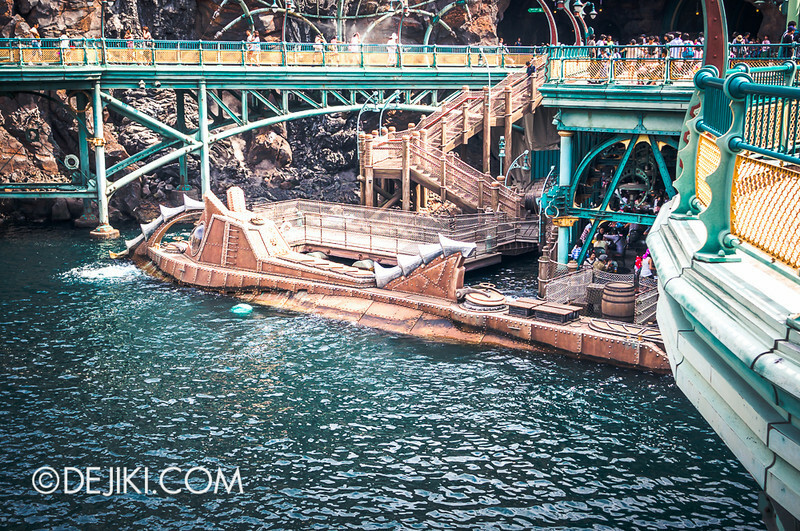 Because it somewhat looks like the Nautilus, Captain Nemo’s submarine, which is docked at Mysterious Island. 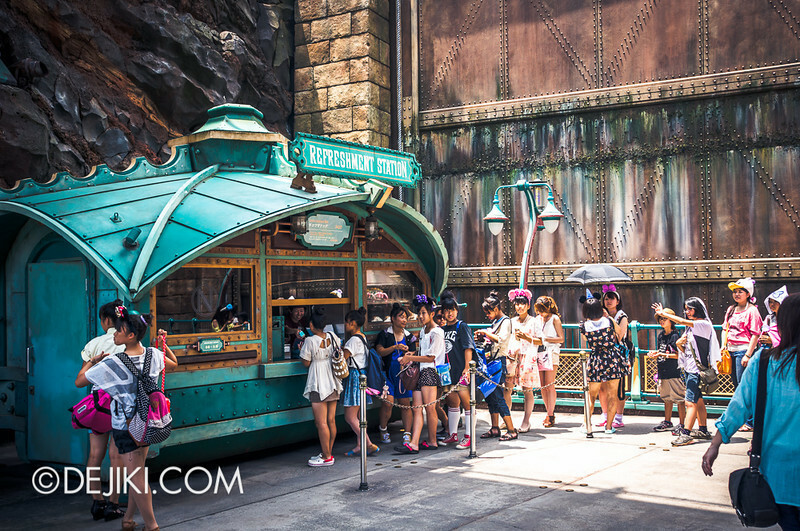 Supposedly the snack got too popular many years ago, causing long lines extending out of Mysterious Island. There always a queue here, but the stall is well-stocked. 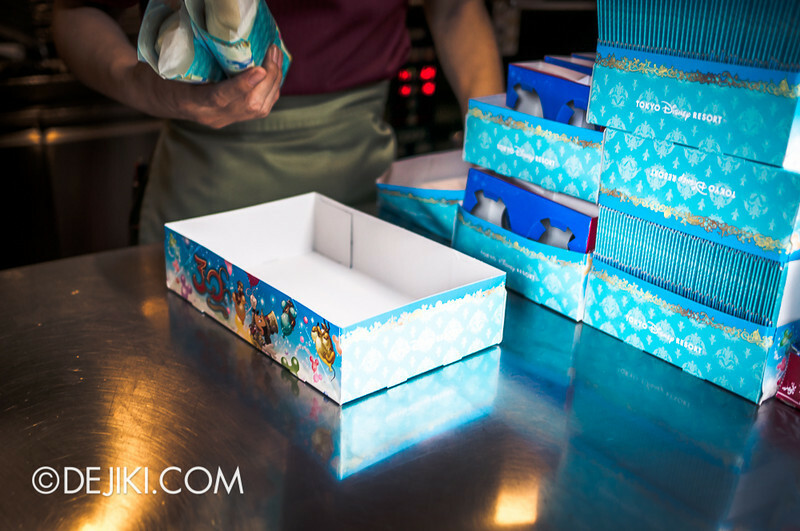 The Happiness Year’s Foldable Box. Anyway, the gyoza buns go for ¥420 (~S$5.20) each. 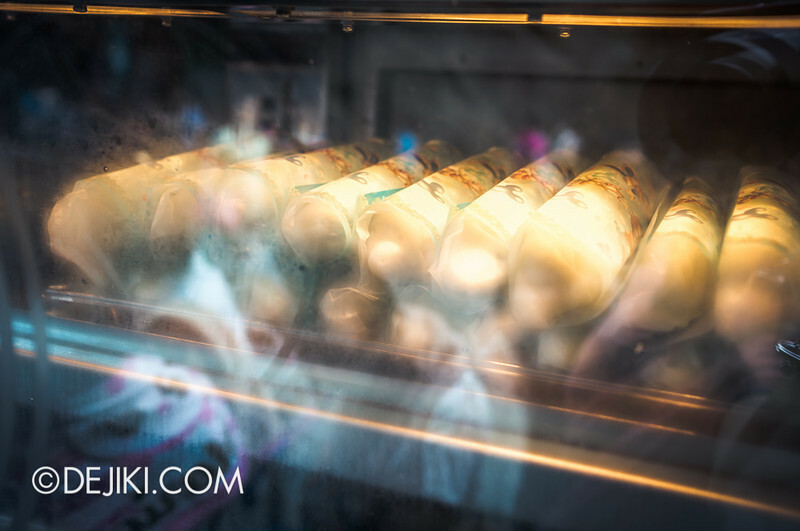 The stall also sells some soft drinks at ¥230/290 (~S$2.80/3.60, prices for small and medium cups), the standard price at both parks. 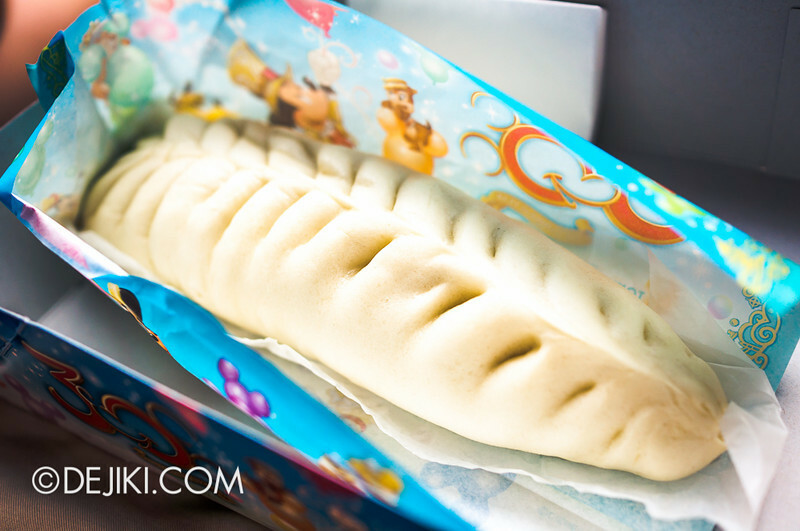 So Tokyo DisneySea’s famous Nautilus Gyoza is a steamed bun (bao/pau) with a sausage inside (gyoza filling). Not quite a fried gyoza and also not a legit bao. 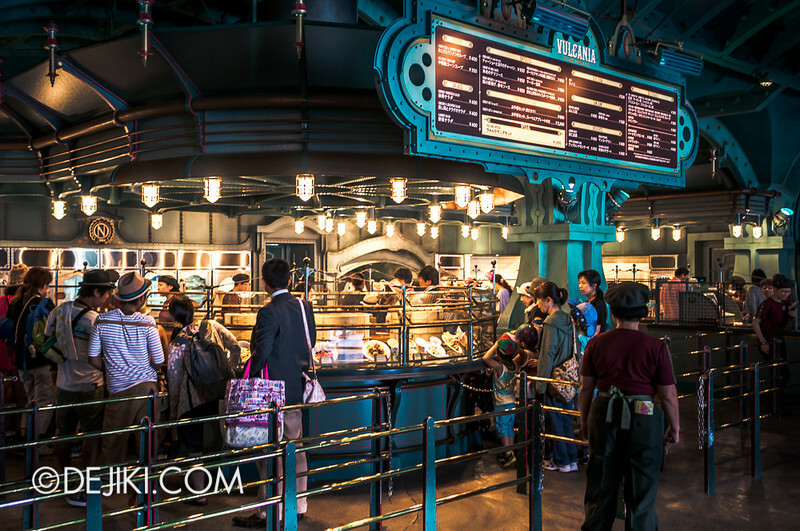 However, the experience of queuing and eating away at a nearby bench is one of those unique Tokyo Disney Resort rituals. 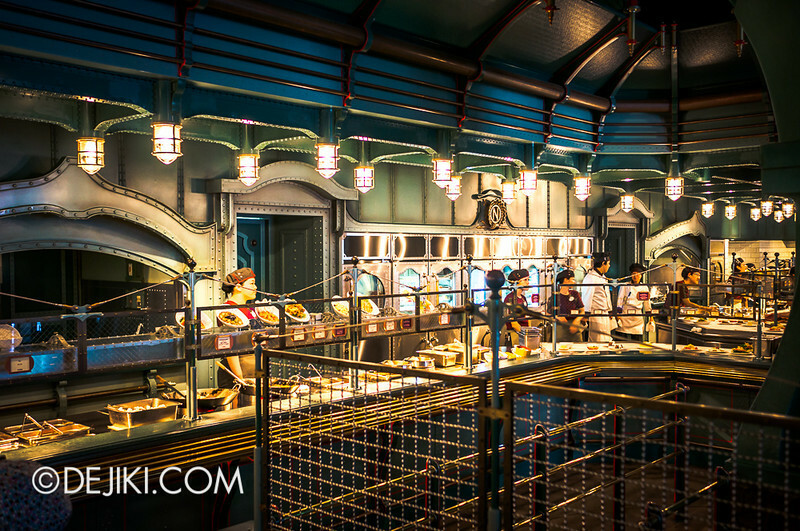 Nautilus Galley is a small eatery at the lower level. It’s a nice shaded place to rest and marvel at the caldera’s waters, as well as to see the Nautilus submarine up-close. 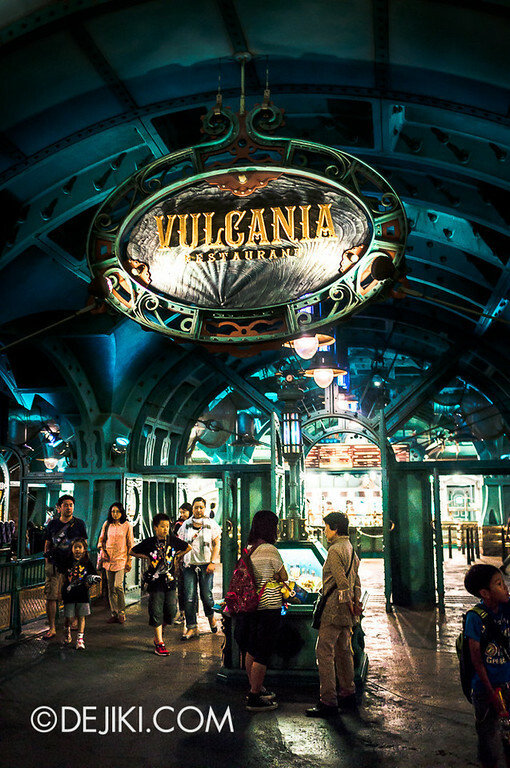 But if you are thinking of dining here, head to Vulcania Restaurant – a quick service buffeteria at the upper level of the caldera, which serves Chinese-style food. 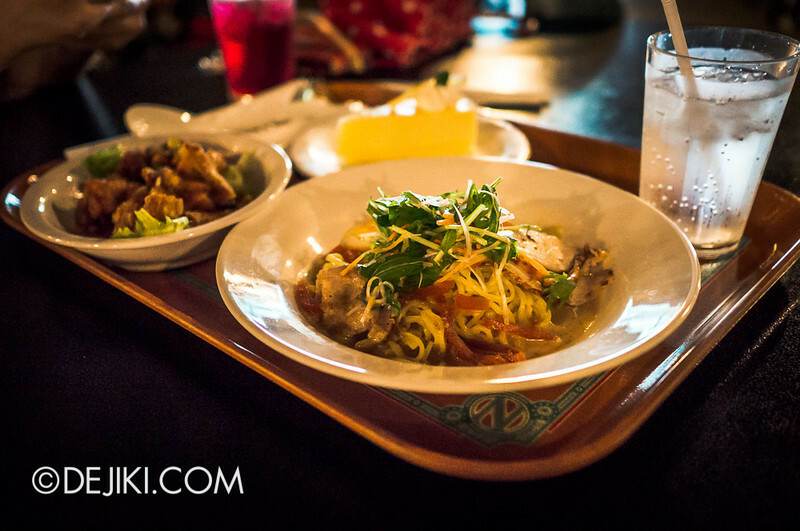 For starters, the restaurant offers soups (from ¥350) and salads (¥400). 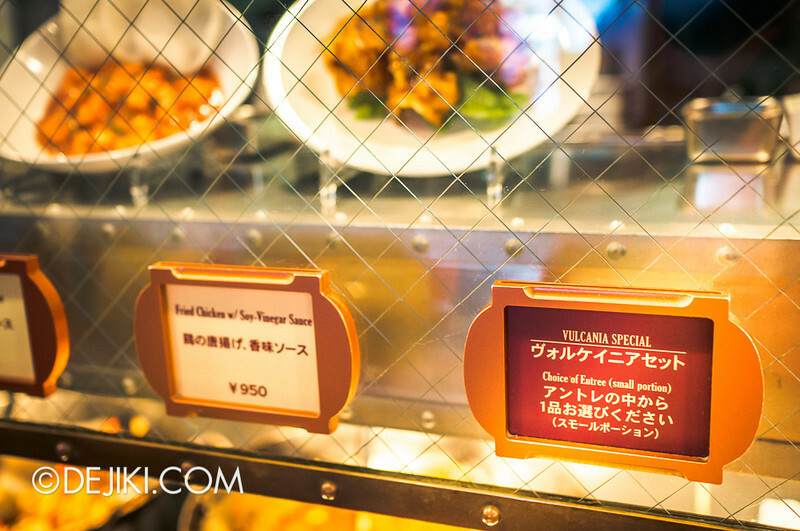 Set meals for kids start at ¥890, though parents who wish to splurge can go for the set with a souvenir plate (¥2090)! 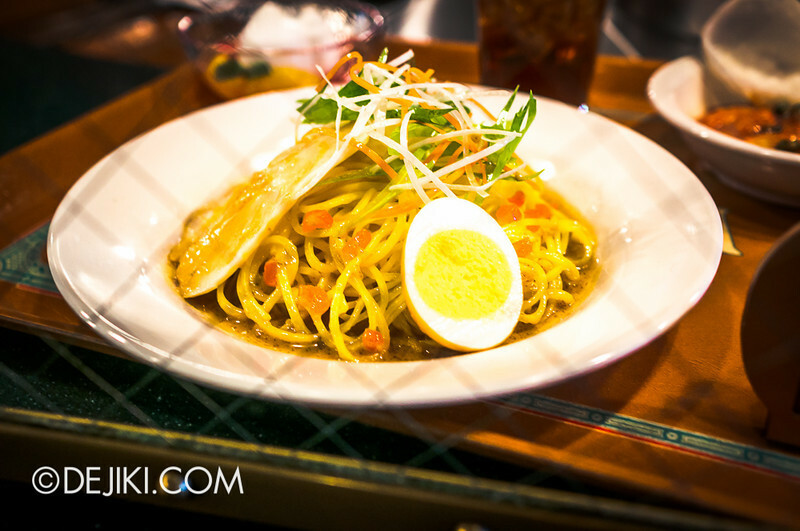 All entrees start at ¥950 (~S$11.70). 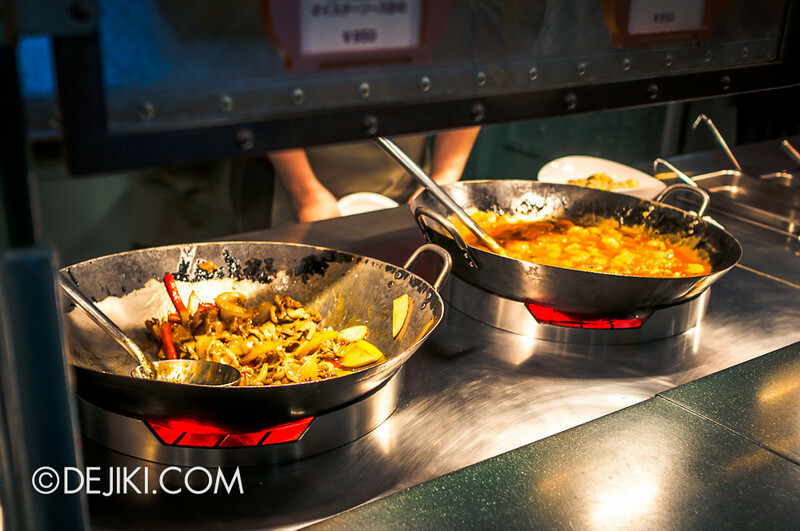 You can choose from Fried Rice (with Char Siu), Shrimp in chili sauce, Fried Chicken, Chilled Noodles, Spicy Tofu and Pan-fried pork and vegetables. My sister and I shared the Vulcania Special set meal (¥1650, ~S$20.30) which includes chilled noodles, an entree of your choice (small portion) and dessert. 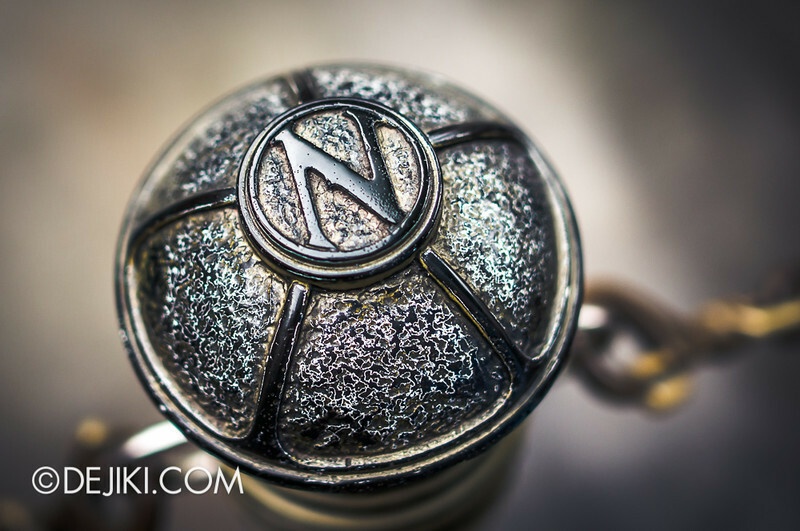 Even if you don’t fancy the food, the restaurant is too amazing to miss. Have a walk around. 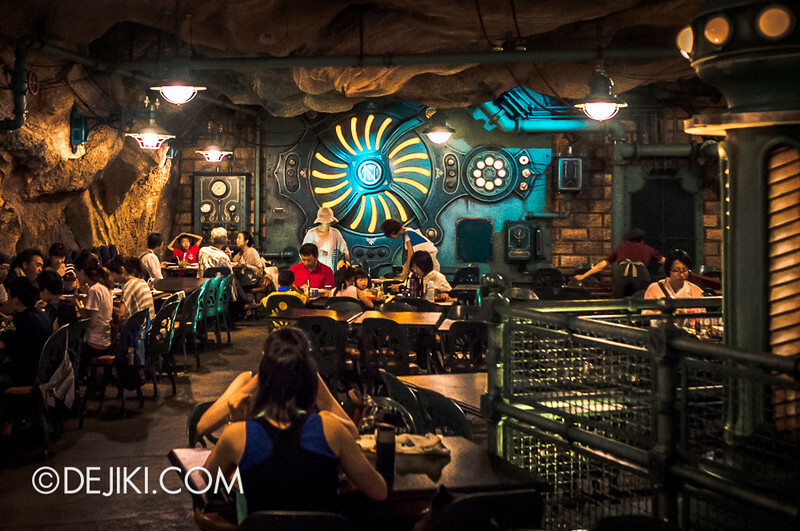 As the restaurant is built into a part of the volcano, you’d expect the dining area to be like a cave, complete with all sorts of strange machines – courtesy of Captain Nemo. 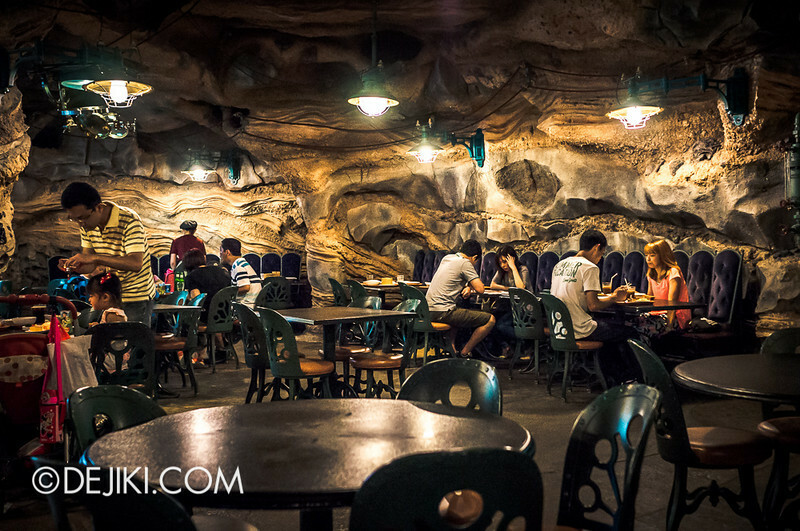 If you’ve ever wanted to dine in a volcano, or a cave, this is probably the best place on Earth. 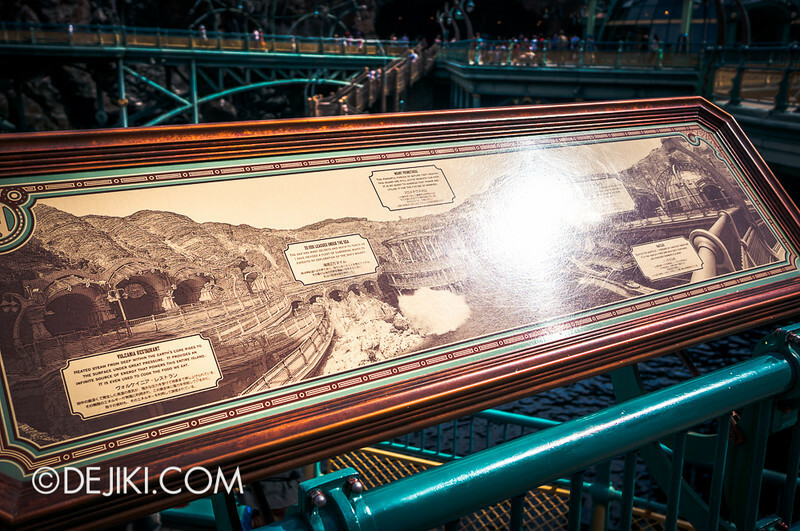 We’ll revisit Mysterious Island again in the next entry and uncover its attractions. 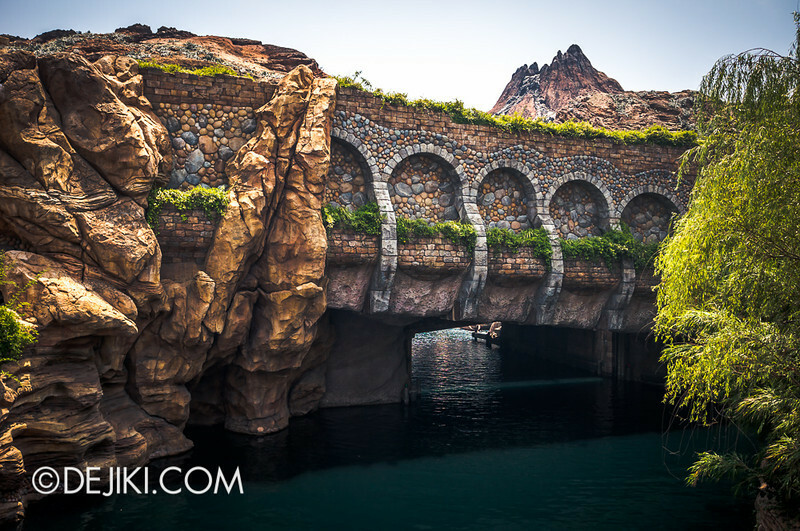 Swim into the world of The Little Mermaid at Tokyo DisneySea’s Mermaid Lagoon. 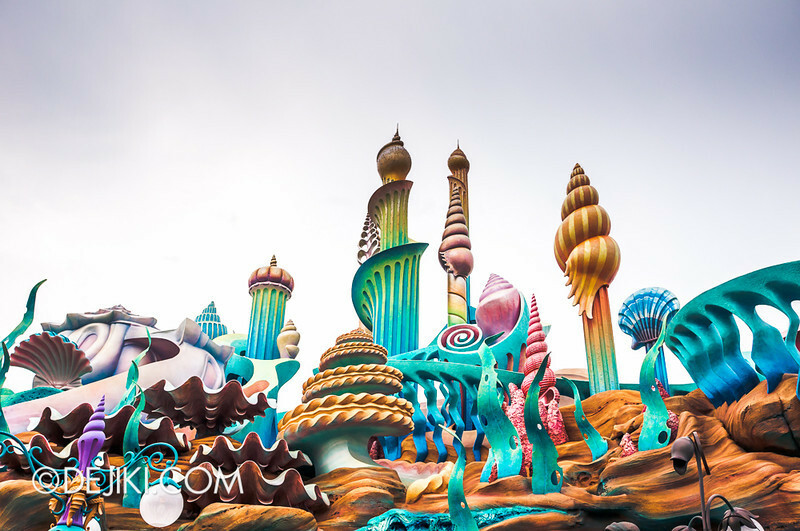 This colourful and vibrant zone invites guests to join Ariel and discover her world, under the sea. 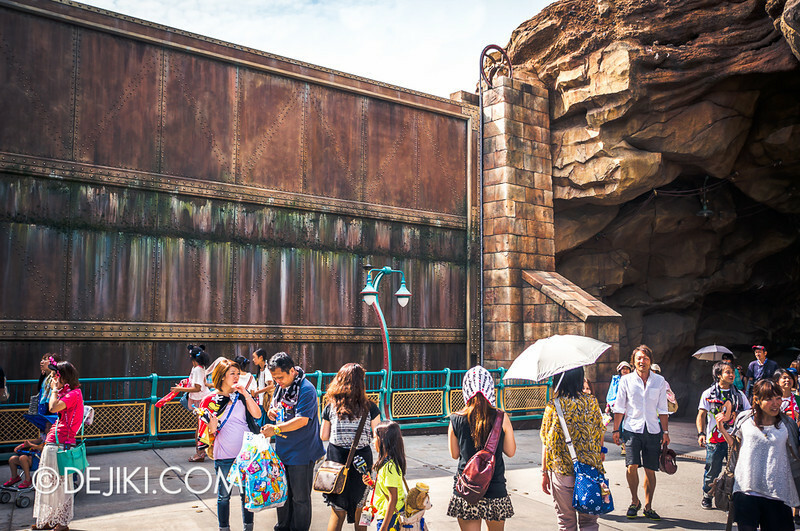 Tokyo Disneyland – Monsters, Inc. Ride & Go Seek! 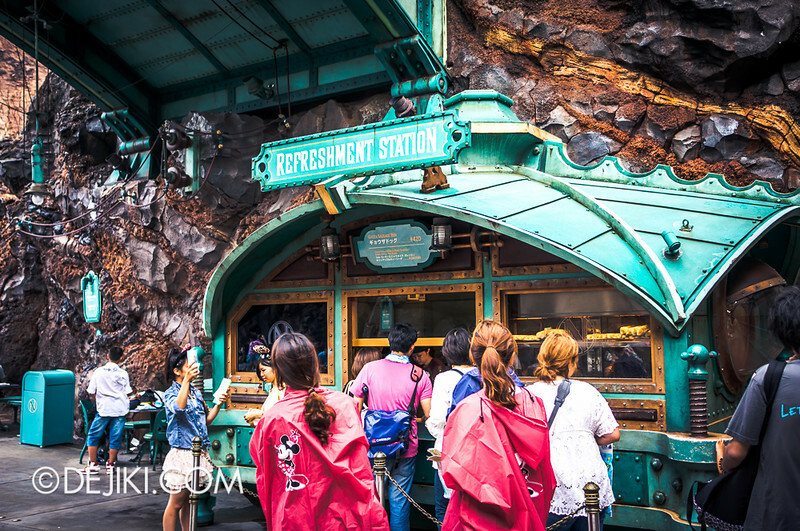 What is the most popular ride at Tokyo Disneyland? 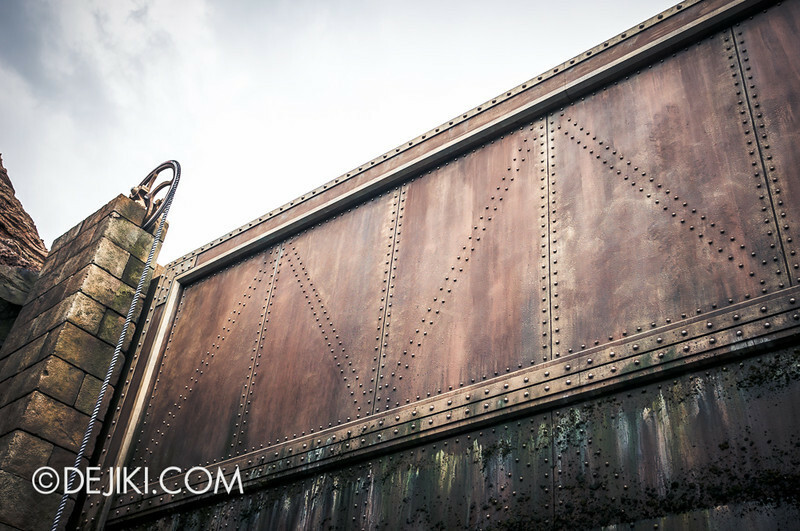 It’s Monsters, Inc. Ride & Go Seek! 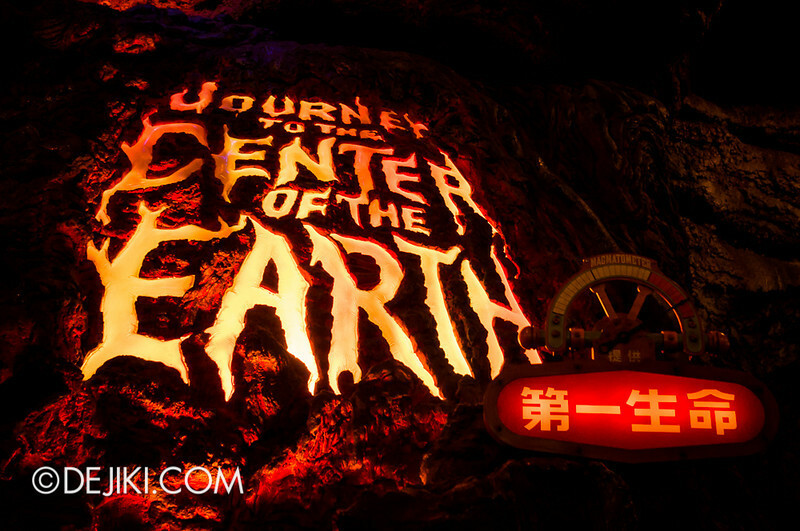 If you’ve ever wanted to explore the monsters’ world, you now have a chance at Tokyo Disneyland. 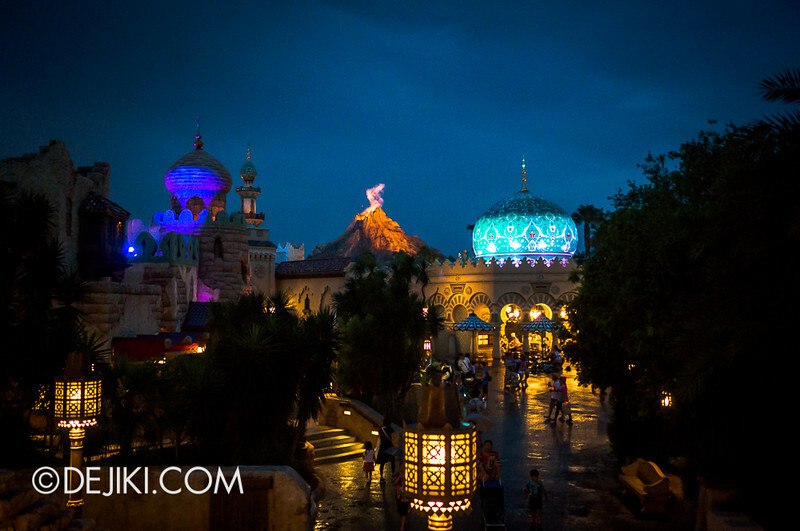 Arabian Coast becomes beautifully lit with ornate lamps at night. 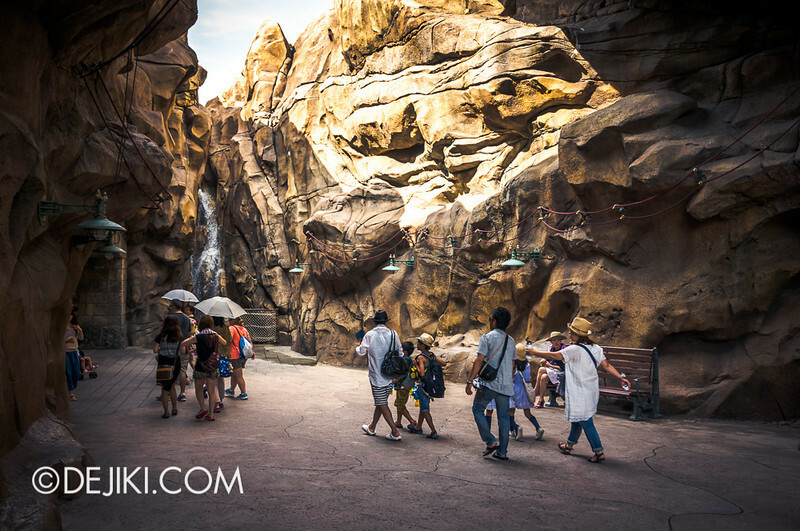 Let’s take a walk around the streets of Agrabah. 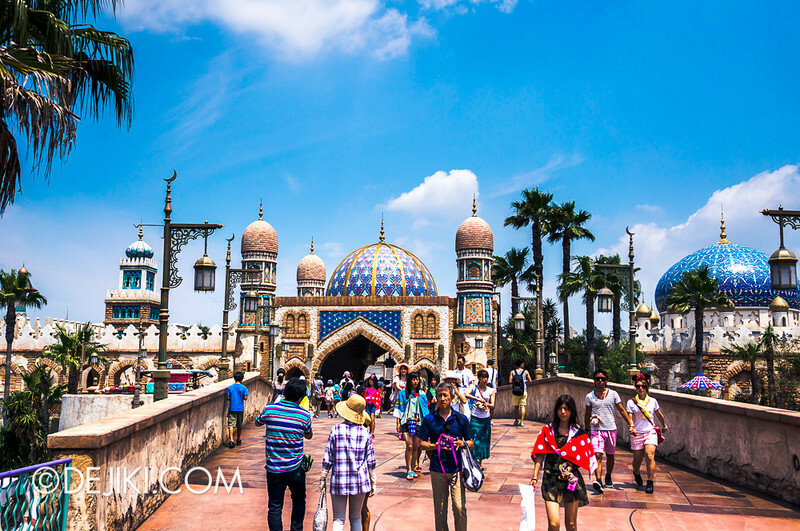 Walk through the bustling Arabian harbour at Tokyo DisneySea’s Arabian Coast. This port-of-call is of course, themed to Arabian Nights and Disney’s Aladdin (1992).